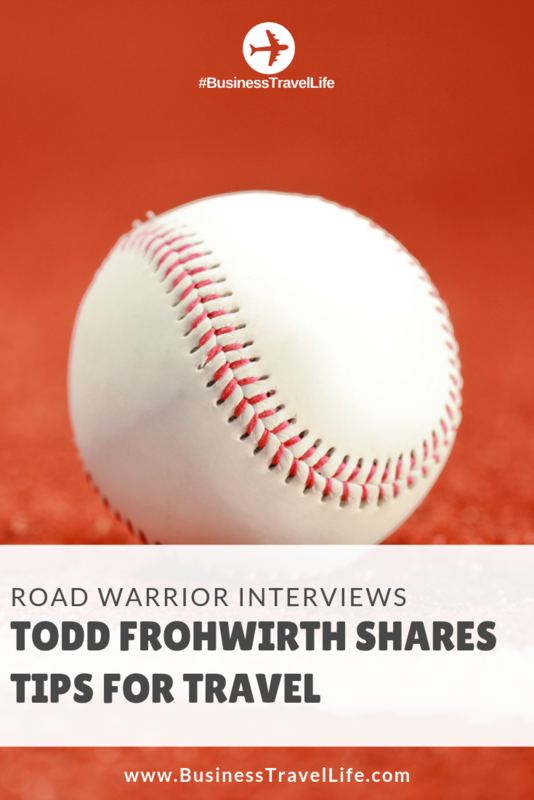 Todd Frohwirth is a road warrior who has been traveling for work for about 12 years. He is a Major League Baseball Scout for the Baltimore Orioles and travels for about five months of the year. This road warrior has been all over the country. The places he travels to most often are St. Louis, Pittsburgh, and Phoenix. He says about half of the time he drives and half of the time he flies. His favorite airline to fly with is Southwest because it is easy to change flights last minute and their app is easy to use. Todd was nice enough to give some suggestions when traveling to these cities. If you’re traveling to Pittsburgh, he has a few suggestions of places to stay downtown. He suggests staying either in the Radisson Inn downtown or the Residence Inn downtown. Both are downtown which is a good location to keep you busy. When looking for a place to eat in Pittsburgh he says that there are a lot of café and small sandwich places on both sides of the bridge. Todd says overall Pittsburgh has a nice, safe, enjoyable downtown area. When staying in downtown St. Louis, Todd usually stays at either the Residence Inn, the Grand Radisson, or the Marriott West. He says he likes the Residence Inn because there is a shuttle to take him to the games, however, there’s not much to do around the hotel. He likes the Grand Radisson because he can walk to the games and there is a mall underneath it. But, the Marriott West is nice to stay in because it is a cheap rate for a first class hotel and is in a great and safe location. When it comes to food, he eats at mostly sports bars because there are plenty near the stadium. He says there is even a newer one inside the stadium that is very popular. Todd has stayed a lot in the Scottsdale/Phoenix area over the years. When he has been there he has stayed at either the Old Town Marriott Suites or McDowell Mountain Marriott. He says he likes Old Town Marriott Suites because it is right in the middle of the action and you can get rides everywhere you want to go. Old Scottsdale has many fun happy hour places and he can go to a different place every night. However, he also really likes McDowell Mountain Marriott because it is beautiful and relaxing at night. He says when he stays at Old Town he eats out at a new place every night and when he’s at McDowell Mountain he usually eats at the hotel. Todd said both North Scottsdale and Old Town Scottsdale are fun places with shopping, eating, and happy hour options. A true road warrior knows how to take care of themselves physically and mentally. To take care of himself physically, Todd says he always makes sure he sleeps enough, even though he might be at night game until late hours or be up working on his computer from his hotel room. To help his mentality when he is on the road for long periods of time, he uses Facetime and calls his family often to keep from getting bored and lonely.